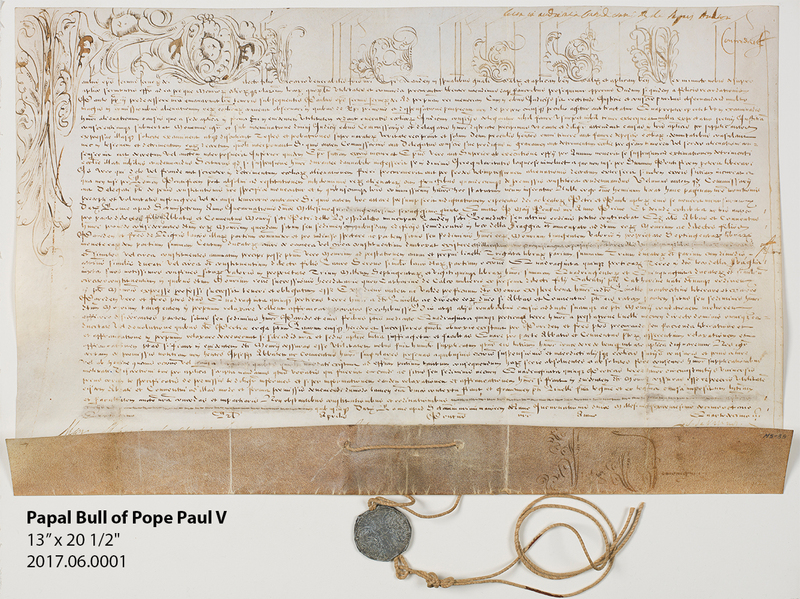 Papal bulls, named after the “bulla” or seal used to authenticate them, are decrees made by popes. Pope Paul V, member of an Italian noble family who is best known for persecuting Galileo and financing the completion of St. Peter’s Basilica, served as pope from 1605-1621. 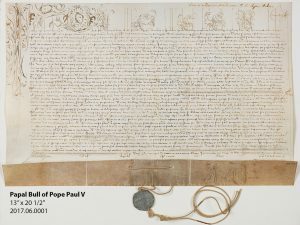 His April 1, 1618 decree begins with the proclamation of Pope Paul II (1464-1471)—included in full as the earlier decree required it—regarding corruption in the alienation of church property by sale or gift. It was believed that property given to the church was a gift to God and could not legitimately be given to anyone else. This was a particularly complicated issue in the medieval world, as many bishops and Church institutions were also feudal lords. 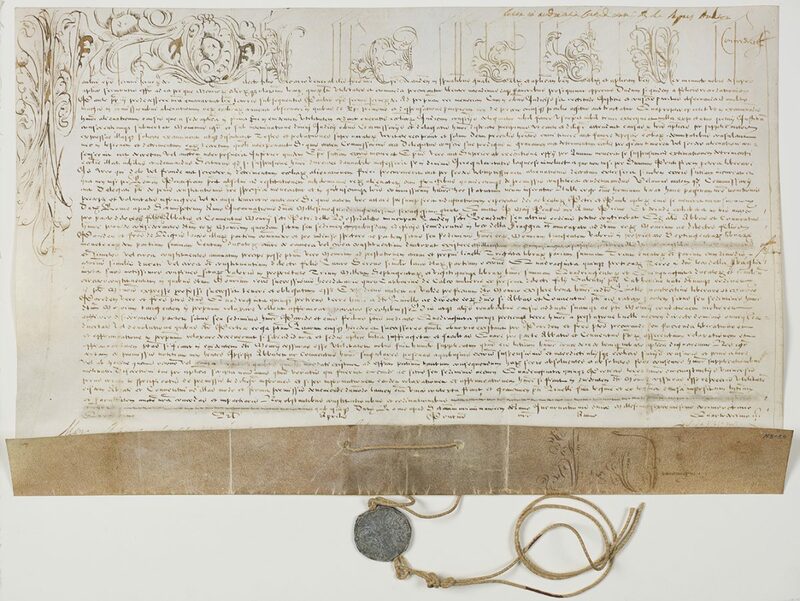 This decree centers on the Abbey of Saints Peter and Paul in Ospedaletto Lodigiano, belonging to the Hieronymite order, and the sale one of its properties near the Swiss border. Ultimately, Pope Paul V delegated the decision to a local official. The decree was translated by Dr. Peter Ahr, with assistance from Dr. Michael Mascio and Dr. Fred Booth of Seton Hall University, and Reverend Dr. Federico Gallo, Director of the Library at Dottore della Biblioteca Ambrosiana, Milan.